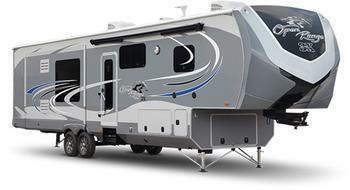 Highland Ridge RV is recalling 84 model year 2018 Open Range light travel trailers, model 312BHS. The federal label on these vehicles incorrectly lists the Gross Axle Weight Rating (GAWR) as 5100lbs instead of 4400lbs. The incorrect GAWR information may result in the trailer being overloaded which can cause the tires to wear prematurely, increasing the risk of a crash. Highland Ridge will notify owners, and dealers will replace the incorrect federal label with a corrected label, free of charge. The recall began on February 7, 2018. Owners may contact Highland Ridge customer service at 1-260-768-7771. Highland's number for this recall is 9904374.